The seller has accepted your clients' offer and now, with your help, your clients must choose a top-rated Kitchener, Waterloo, Cambridge, Guelph, Brantford or London area home inspector. Should you steer them toward the inspector who writes the softest reports? Should you steer them toward the inspector who pays to be on your offices' preferred vendor list? Should you help them find the cheapest inspector? The answers to these questions are of course No, No, and No! REALTORS® should have the best interests of their client in mind at all times; therefore, it only makes sense that in order to be the very best, you need to refer the very best, which is why your client's need our quality, top-rated home inspection services! More and more REALTORS® in the Kitchener, Waterloo, Cambridge, Guelph, Brantford and London regions are encouraging home buyers to invest in our home inspection services before purchasing a property. The reason is simple – as a local REALTOR® your reputation is your most valuable asset. ​Your clients rely on you to guide them through a complicated and sometimes stressful process., so demonstrate to them that their trust in you is justified by referring them to a top-rated Kitchener, Waterloo, Cambridge, Guelph, Brantford and London home inspection company. At 360 Inspection Services our experience, training and professionalism will deliver the information your clients need - and we all know the best form of advertising is a happy client! Claims may arise because the inspector is un-informed or un-trained and thus misses a defect. Even in States and Provinces where licensing is required, on-going education is often lacking. And remember, experience does not replace the need for property inspectors to have an on-going source of education and access to technical support. 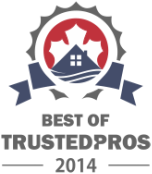 ​Getting us to perform one of our certified, professional and top-rated home inspection services is just the start of a long-term commitment we make to all of our Kitchener, Waterloo, Cambridge, Guelph, Brantford and London clients. By hiring us to be your dedicated home inspection company your client will have the opportunity to call, text, or email any questions or concerns anytime in regards to their home - the cost? Nothing! We offer this as an extended service for absolutely FREE, helping your clients understand their home is what we do! To show our sincere appreciation for all of the amazing Kitchener, Waterloo, Cambridge, Guelph, Brantford and London area REALTORS® who have helped our business reach, yet another record-breaking year, we want to say thanks! We're happy to provide you, our local, trusted REALTORS®, exclusive pricing in order to ensure that your customers receive the best value possible in 2016 for our exclusive, top-rated home inspection services. With each one of our home inspection services you will also receive our exclusive set of additional services offered in our 360ELITE Inspection Support Plan - the cost? Nothing! We offer this as an extended service for absolutely FREE. You will not find this level of commitment or confidence in any other Kitchener, Waterloo, Cambridge, Guelph, Brantford and London area home inspection company! 360 Inspection Services is the definitive solution that can help Kitchener, Waterloo, Cambridge, Guelph, Brantford and London area REALTORS® increase future business and reduce liability. Educate your customers on the value of our certified, professional home inspection services and why they should choose 360 Inspection Services as their dedicated home inspection company. Contact us at (226) 972-6440 to schedule an appointment today, or request an inspection online using the contact form - help your clients find a top-rated home inspection company they deserve!